First introduced on the F82 M4 Prototype in Pebble Beach and on prototype E92 M special edition cars, our Tri – Color M Roof Stripe package attempts to make this cosmetic subtle upgrade available to those that loved it on the concept cars. Each decal is printed using the correct M Pantone colors on transparent high quality vinyl including and anti scratch and UV resistant coating for maximum outdoor durability. Each kit is shipped with a 60″ long decal with an application squeegee. Professional installation recommended for best results. Here is a quick rev video of one of our latest exhaust projects. This full stainless exhaust even includes vacuum controlled valves like the factory unit to seamlessly install into the car and transforms this model into an audible joy to drive. 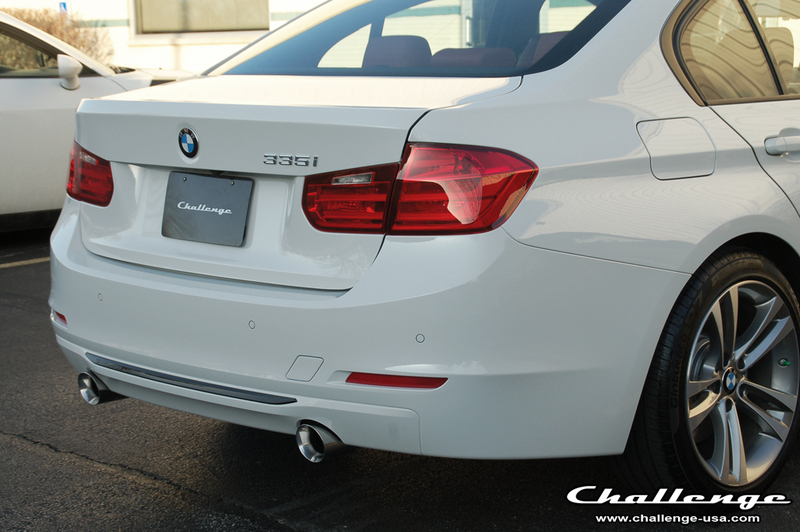 BMW F10 M5 / 5 Series OEM Carbon Race Trunk Released! 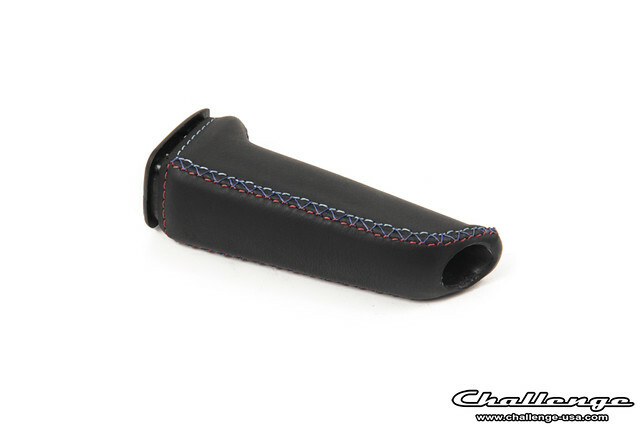 Challenge now offers its new Tri-Color Collection of leather interior goods with the same attention detail and quality materials you have come to know from their carbon fiber and fabricated parts. 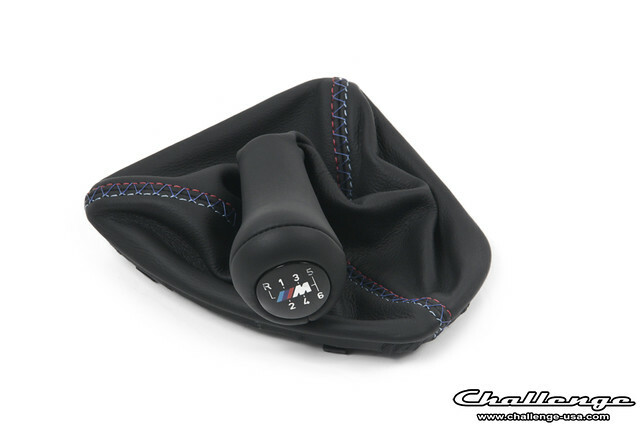 Made famous by the first M cars stitched steering wheels, the tri-colors of the BMW M flag can now be added to other panels and surfaces with the same fit and feel as OEM. 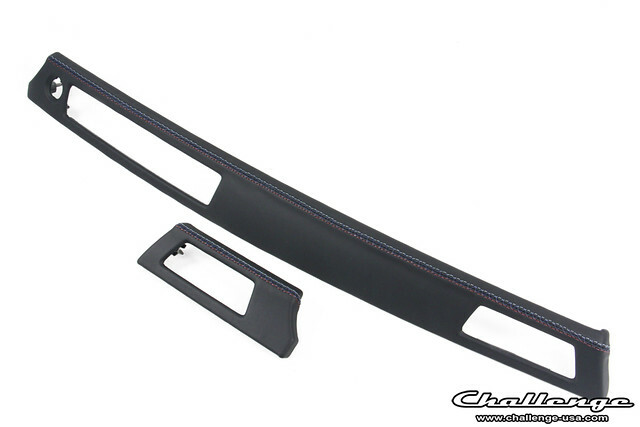 Each part starts off as a brand new BMW part ensuring the best fitment and materials are at the core of our product. OEM or factory matched leather is used on every leather part to ensure harmony with the rest of your interior.